Significant issues can develop around a hill that sits in your yard. Grass never seems to grow and flower beds wash away without constant maintenance. Retaining walls provide the ideal solution for this problem, as they stop the erosion of the hill and enable healthy grasses and flowers to grow. If hills in your yard have begun to create problems, call our team at 254-716-8685 to discover the benefits of retaining wall construction in Waco and Temple, TX. 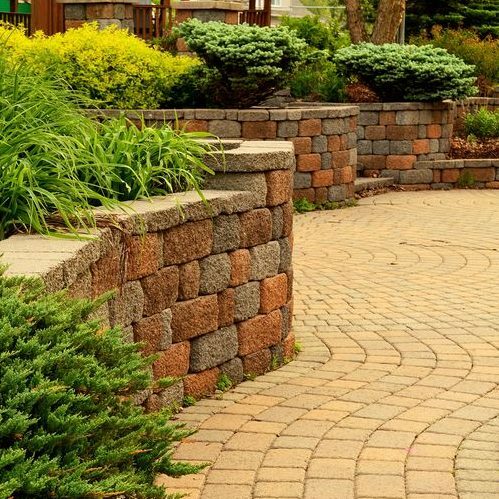 Retaining walls can provide substantial protection from soil erosion and flooding while offering a beautiful split-level design. It can eliminate unsightly dirt piles in your yard and provide low maintenance, aesthetically pleasing option to a traditional look. Our professionals can evaluate your space and offer viable solutions, materials, and dimensions for every budget. When you need retaining wall construction in Waco and Temple, TX, call us! Stone can add a beautiful wealth of dimension to your space with multiple colors and sizes contributing to the look of your wall. Each stone is hand placed to offer the utmost protection while providing a unique canvas for foliage, flowers, or even grass. This retaining wall construction in Waco and Temple, TX offers resistance against weather and extreme temperatures and can last for years with minimal maintenance. Concrete is a cost-effective alternative to stone and provides many of the same benefits. Concrete offers substantial protection against outside elements and doesn’t settle or adjust, minimizing maintenance and repairs. Your concrete retaining wall can be customized with decorative or stamped concrete and provides protection against flooding and soil erosion while adding dimension and class to your area. Our professionals will inspect your soil and space and discuss your options with you. We will offer helpful information on costs, benefits, and longevity to ensure that you are able to make the best decisions for your home, and will install your wall with no hassle to you. If you would like to know more about retaining wall construction around Waco and Temple, TX, call our experts at 254-716-8685 to schedule a consultation. Updated on March 21, 2019 at 11:22 am by eSquared Asphalt Maintenance.